You can type the name “Shirley McClellan” into the popular “Google” search and you will see many many accolades referring to her tireless work in government, on several community, agricultural and academic boards. But the Harness racing community in Alberta knows Shirley in so many more ways than can be put on paper. When Shirley first came to Horse Racing Alberta, she admitted that she didn’t know everything about horse racing, but she wanted to learn. She didn’t go around and talk to one group of people who had interest in the industry or another, she went to all of them. From government officials governing racing, to boards and companies who ran race tracks, to community organizations, and the horsemen and women themselves. Everyone was included when Shirley was there to ask questions and learn. She could be found at annual general meetings, awards banquets, at the track on race days, and in the barns. She visited A tracks and B track and fairs. Shirley has been a pioneer in many things she has done in her life, and all the while she’s still the wife, mother and grandmother that you can find in the kitchen baking cinnamon buns. In her years with Horse Racing Alberta, Shirley has been a true friend to the people invested in our industry and has stood her ground on equality for all breeds. She has helped the horsemen and women in more ways that we can list. 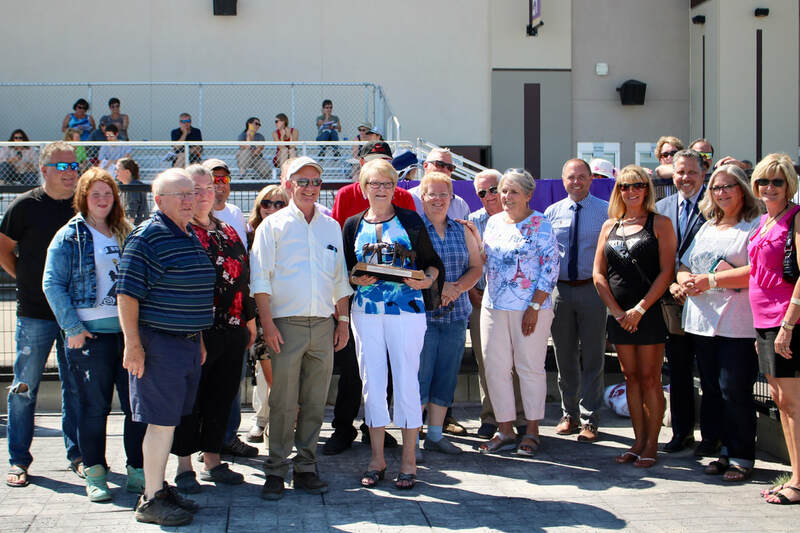 We are very grateful for all Shirley has done for the horse racing industry in Alberta and nothing can truly express our appreciation for her tireless efforts. It is with great pleasure, and our honour to present Shirley with a token of our appreciation. 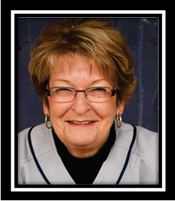 On Behalf of the Alberta Standardbred Horse Association, our board and all participants in the harness racing industry in Alberta, THANK YOU Shirley you’ve been our leader, our mentor, but most of all our friend.